Today, the Group is an industry leader, for a comprehensive range of products that are available in more than 30 countries. 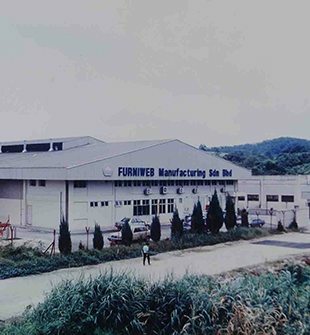 Furniweb Group started operations in 1987 in Malaysia producing covered elastic yarn and furniture webbing. The Group has since expanded across borders and created new markets for its niche products in the textile and apparel, furniture, automotive, food packaging, agriculture and medical industries. Supported by a dedicated research and development team, the Group has been able to deliver competitive and innovative quality products that meet the high expectations and requirements of its customer worldwide. The Group takes pride in its tradition of excellence in product innovation, uncompromising quality and unparalleled customer service; as evidence in the continuous support from a loyal customer base developed over the years. Furniweb Manufacturing Sdn. Bhd. (FMSB) was formed in 1987 and is specialized in manufacture furniture webbings, covered elastic yarns and other products including rigid webbing. Furniture webbing is mainly used in making sofas in the furniture industry, whereas covered elastic yarns are mainly used in the textile, apparel, food and agriculture industries. Rigid webbings are used in making fabric panel reinforcement strap, safety harness, lifting sling etc. Furniweb is a trusted brand in the industry with reliable service and consistent quality. Our products are made of good quality materials and are distributed to over 30 countries. 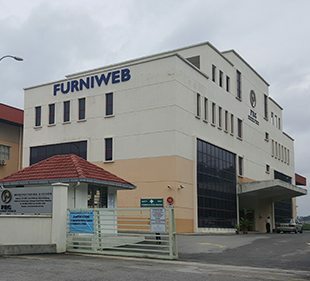 Together with our sister company Furniweb (Vietnam) Shareholding Company, we are one of the major furniture webbing and covered elastic yarn producers in Malaysia and Vietnam. Furniweb Safety Webbing Sdn. Bhd. (FSW) was formed in 1996 and we produce seatbelt webbings, child seat webbings, helmet straps and weldable webbings for the automotive industry. FSW has since expanded to become the largest producer of seatbelt webbing in Malaysia. We manufacture our products according to customer’s specifications and requirements, and our product quality meets the safety regulation for the automotive industry. 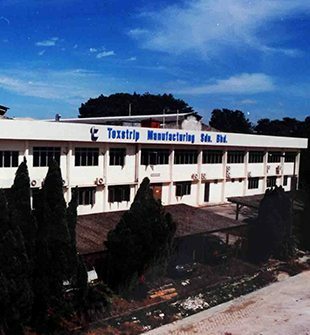 Texstrip Manufacturing Sdn. Bhd. commenced operations in 1989, with its principal activity being manufacturing of elastic tapes for a wide range of polymeric applications. These tapes are produced from natural and synthetic rubber. These superior quality tapes are widely used in the textile and garment industry, and they are formulated to specific requirements such as thickness, width and lubrication. Our high performance elastic includes rubberized latex-free medical devices such as esmark bandages, tourniquet straps, exercise bands and rubber cot sheets. 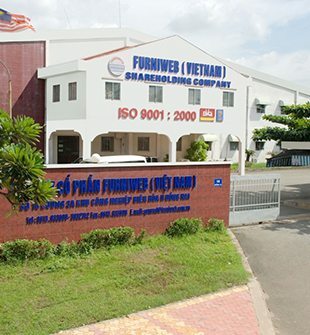 Furniweb (Vietnam) Shareholding Company (FVSC) was established in 1997 to manufacture covered elastic yarn, furniture webbing and Air-Jet covering yarn. Our products are mainly supplied to the furniture, textile, apparel, food and agriculture industries. FVSC is located in the Bien Hoa Industrial Zone II, Dong Nai Province, Vietnam. 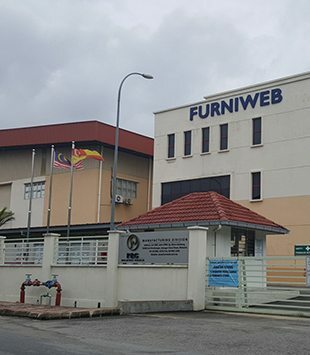 Combined with our sister company, Funiweb Manufacturing Sdn Bhd, located in Malaysia, we share the distinction of being a major producer of furniture webbing and covered elastic yarn in Malaysia and Vietnam. 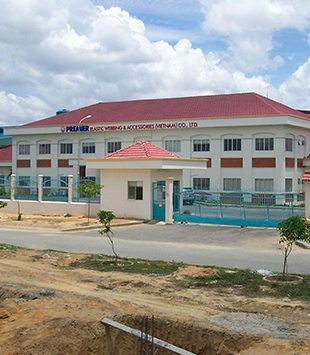 Premier Elastic Webbing & Accessories (Vietnam) Co., Ltd. (PEWA) was established in 2002, to be one of the producers of narrow elastic fabric to be certified with OEKO – Tex Standard. The company’s production facilities include yarn dyeing, twisting, warping, covering, weaving, knitting, finishing, dyeing and rotary/silk screen printing. Our specialization is in the production of elastic laces and trimmings, lingerie elastic, jacquard elastic and other accessories for the intimate apparel and garment industries. 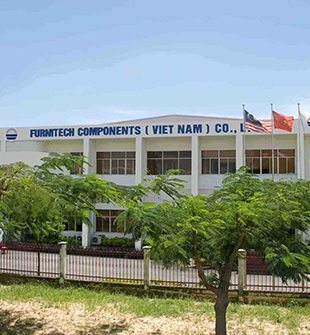 Furnitech Components (Vietnam) Co. Ltd.
Furnitech Components (Vietnam) Co. Ltd. was established in 2004. The company specializes in the production of recliner mechanisms, slatted bed frame and metal components for the sofa/furniture industry. We offer to the global market an extensive collection of quality products manufactured to the highest standards. Many of our products are used in some leading furniture brands that have global presence and distribution. 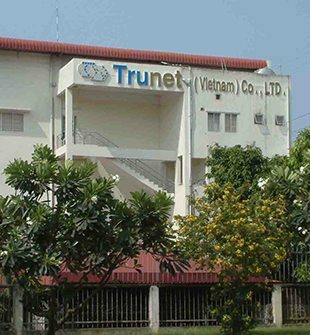 Trunet (Vietnam) Co., Ltd., was incorporated in 2001. The company is a joint venture between Furniweb Manufacturing Sdn. Bhd. (FMSB) and Trunet Group based in the United Kingdom. Trunet Group is the world leading manufacturers of elastic netting, trussing loops and twines. We also manufacture root ball netting for the agriculture sector.